Category News | Kennemer Foods International, Inc. In previous years, Kennemer has achieved significant scale through its programs, establishing a cocoa sourcing network of 12,000 farmers. Kennemer customers — global confectionaries and chocolate companies — are important partners to these projects, both in cocoa growing techniques and post-harvest technologies as well as in the off-take of almost all of Kennemer’s cocoa bean production. ‘There are those who look at things the way they are, and ask why . . . I dream of things that never were, and ask why not?’. . . Robert Kennedy. The lack of productivity and competitiveness of our agriculture could be traced to many causes. However, the most fundamental is the lack of economies of scale of our small, fragmented landholdings. The various parts of the agriculture value chain from planting, culture, harvesting, processing, storage and marketing can be made more productive and efficient if the farms were consolidated and managed as larger management units. Most if not all of our constraints and limitations can be overcome if our small farms were operated as larger businesses 1) as cooperatives, 2) as contract growers to corporate integrators, 3) as joint ventures with corporate partners, and 4) as straight leases or outright sales to larger farmers and agribusinesses. Farmers’ cooperatives are very successful in Japan, Korea, China and Taiwan. Huge cooperatives dominate agriculture in parts of Europe like the Netherlands, Germany and France. We have not been as successful in farm cooperatives promotion and development but the fact that we have some very successful coops like Lipa City Multi-Purpose Cooperative Marketing Association (LIMCOMA) and Sorosoro Ibaba Development Cooperative (SIDC) in Batangas show that it can be done. The banes of our coops are loose financial controls and weak business development. The Philippine Business for Social Progress (PBSP) and the corporate social responsibility (CSR) projects of many corporations demonstrate how the farmers associations can be empowered and assisted by professional managers. We should appeal to the Philippine Chamber of Commerce and Industry (PCCI) and their affiliates to do more. For example, our agriculture will be more vibrant and farmers can earn more if they can sell directly to the rapidly expanding supermarket modern trade. Additionally, the Department of Agriculture (DA) and the Department of Agrarian Reform (DAR), should have dedicated programs to commission private service providers to render training and management support to coops. These management service providers shall be compensated based on coop performance parameters like membership, capital build-up, farm yields, diversification and new businesses and, of course, farmers’ incomes. The previous DAR leadership initiated a project along this line. We hope the new DA and DAR secretaries pick it up. Contract growing as a business model is a standard business practice among food and beverage companies in industrialized countries. Del Monte (and its competitors) in the United States has hundreds of thousands of acres of fruits and vegetables under cultivation but does not own any of them. Thailand is eminently successful with small farmers growing fruits, vegetables, flowers, shrimp and fish, sugarcane, and even fast growing trees for agribusiness processors and exporters. In the Philippines, contract growing is working for broilers, swine, bananas, pineapple, papaya and tobacco. These are the bright stars in the agriculture sector. They are highly productive and globally competitive. The small farmers are relieved of the burden of sourcing inputs, modern technology, credit and finding profitable markets. The corporate integrators share the risks with the farmers in exchange for assured, quality raw materials. We should aspire to do the same with the rest of the commodities like they do in Thailand. DA, DAR, the Department of Trade and Industry (DTI) and the local government units (LGUs) together with PCCI and its affiliate industry associations and their members should come together and collectively encourage, promote and sustain this inclusive business model. We should applaud and support the efforts of Nestle (coffee), Kennemer (cacao) and SL Agritech (hybrid rice) who are actively mobilizing the small growers and their cooperatives as valued partners in their supply chains. Without selling their farms, the small farmers and agrarian reform beneficiaries can join up as business partners in agribusiness corporations with their land as equity and as farm workers receiving proper wages and benefits. The business model can be made to work and more widely acceptable if the small farm owners and their cooperatives are assisted by the corporation to engage in ancillary enterprises like cooperative stores/markets, transport, farm service providers, cable TV, generic drug stores, pre-schools and other rural businesses. Thus, in addition to dividends from the joint venture and wages from employment, the farmer-members receive supplementary income from the cooperative operations. The Nakar coconut initiative of urban planner Flor Orendain is a potentially powerful model if the hundreds of coconut farmers in Infanta and Nakar, Quezon will be persuaded to sign up and the hoped-for thousands of overseas Filipino workers (OFWs) will ante up the capital. The “corporative” concept of the new Land Bank of the Philippines (LBP) President Alex Buenaventura is a more easily realizable variant of Orendain’s proposal. Instead of private individual investors, LBP itself and banks awash with idle agri-agra funds will serve as incorporators and philanthropic capital providers. As proposed, almost all the earnings of the corporative will accrue to the farmer-partners. Part of the incomes of the individual farmer-partners will be retained so that in time the farmers can buy out LBP and the original investors and the farmers themselves become majority owners. However, LBP and the other bank partners will continue to provide professional management to the joint venture, if the farmers so wish. These two concepts are compatible with each other and should be actively piloted and demonstrated. In both models, the corporation will engage in postharvest, processing and trading and, therefore, the farmer partners will benefit not only from primary production but also in their share in the rest of the value chain where more of the margins in agriculture are made anyway. Both are socially acceptable and financially viable and are potential game changers. Key is the availability of competent, socially motivated business managers and community leaders. Straight lease and outright sale of small farms to larger farmers and agribusiness corporations are straightforward and expedient. This mode of land consolidation is going on. No law prohibits lease/sale of farm lands except the provision of the agrarian reform law which limits ownership of farm lands by individuals not to exceed five hectares. Many farmers’ sons and daughters realizing they cannot make a decent living off the small parcels due to them, elect to lease/sell their shares and seek employment and their fortunes elsewhere. The five–hectare limit unnecessarily constrains the land market and prevents the small farmers from receiving fair value for the lands they are giving up. By this time, it is an anachronism we can ill afford. After four decades of land reform and redistributing close to 8.5 million hectares of the target of nine million hectares, we have essentially achieved the immediate political objective of fairer distribution of assets in the countryside to the small tillers and the landless. However as a consequence, we have fragmented our farm lands into small, economically barely viable economic units. The situation can only get worse as the land is equitably distributed among all the siblings after each generation. Further fragmentation of our farm lands can only consign our agriculture to further lack of productivity, lack of global competitiveness and ultimately rural poverty. We should declare victory in agrarian reform and move on. We should free up the land markets to allow for reconsolidation of farms into more viable farming units. It is time we focus our efforts on land, water and labor productivity. The 2016 Schwab Foundation Social Entrepreneurs of the Year represents 12 outstanding social entrepreneurs from 11 organizations operating in more than 70 countries that are pioneering solutions for social and environmental challenges, from child labour to women’s empowerment to climate change and more. Kennemer grows, sources, and trades in high quality agriculture produce such as fermented cocoa beans through a contract farming program with smallholder farmers in the Philippines. Kennemer has created an end-to-end contract farming model that provides farmers with high quality planting material and technology, training on farming practices, and access to financing and markets. In just five years of operations, Kennemer has achieved significant scale, establishing a sourcing network of 10,000 Filipino farmers who stand to gain an average income increase of 500 percent. By adopting modern cocoa technology, farmers can experience cocoa yields of four times the national average – increasing incomes of coconut farmers from USD 555 to USD 3300 net of inputs. By 2020, the company aims to integrate 35,000 farmers into its value chain. HE incoming chief of the Department of Trade and Industry (DTI) said he is keen on encouraging the growth of more “inclusive” businesses (IBs) to create more jobs, produce cheaper goods and cut poverty. Incoming DTI Secretary Ramon Lopez said he intends to continue the Aquino administration’s thrust of supporting micro, small and medium enterprises (MSMEs), particularly those that have adopted the IB model. “The focus of the incoming President is uplifting the poor and their quality of life through entrepreneurship. The priorities would be programs that help MSMEs,” Lopez told reporters in a chance interview, following the Philippine Retailers’ Association’s 2016 Outstanding Filipino Retailers and Shopping Centers Awards held last week. “We would accelerate further the rollout of Negosyo Centers, shared service facilities [SSFs], and the training to go along with operating these,” he added. Lopez said he and current DTI chief Adrian S. Cristobal Jr., had informal discussions about the transition to the new leadership and outlined the programs that the new government will continue in the next six years. The incoming DTI head said there is an ongoing review of the agency’s programs to determine, which will be prioritized and will be put on hold. However, Lopez declined to cite specifics. Lopez, executive director of non-governmental organization Go Negosyo, said he sees the potential of the IB model championed by Cristobal in creating more jobs and encouraging entrepreneurship. “We talked about inclusive business—orienting how big business can help small ones through strengthening forward [stores] or backward [suppliers] linkages, and putting them into the value chain,” he said. “We have to find out if the grant of fiscal incentives will make a difference or if it’s relevant,” he added. Enterprises that adopt the IB model incorporate poor communities in their core business and are not mere beneficiaries—similar to how corporate social responsibility projects work today. Poor communities are also targeted as new markets for goods and services under the IB model. IB models are directly within a company’s value chain, or it can be a single business model of a small company. The Board of Investments (BOI) and the Asian Development to create a framework for the IB model in the Philippines. The BOI has already piloted an IB accreditation system. The IB model, the BOI said, will be rolled out in the housing, agribusiness, and tourism sectors in the pilot stage. Earlier, Cristobal said a separate accreditation and registration process for the IB enterprises could be set up, but he assured that the government will not burden the private sector with more rules. Among the existing IB models identified by the BOI and the ADB are the Ayala’s Manila Water’s “Tubig Para sa Barangay” program, which effectively lowered the price of water from P150 per cubic meter to P7 per cubic meter for 1.6 million low-income residents of Manila. Kennemer Foods’ Cacao Growership Program has also been noted by the two agencies as a successful IB model, as they’ve enlisted smallholder farmers to supply cacao beams under growership agreements. We witnessed in the recent election the many campaign promises of the candidates. One thing common that cuts across their agenda is on how we can really uplift the lives of fellow Filipinos, especially those at the bottom of the pyramid. Alleviating poverty is the topmost priority of most candidates. The sustained growth we enjoyed in the current Aquino administration translated to a modest reduction in poverty incidence from 28.6 percent in 2009 to 27.9 in 2012 and 26.3 in 2015. There is a good momentum and it is important that we sustain this and even accelerate the pace of reduction. The mass majority, after all, is the bulk of the electorate who select the winning candidates. Their welfare must be improved. But no amount of government effort can make everyone succeed in life. Government can set a favorable environment and provided initiatives but each one must resolve to make a change for the better, to take advantage of all programs and opportunities around us and simply work hard. Enabling programs are given by several government and private advocacies. But one has to make an effort and ride on the wave of economic growth. Either we get ourselves educated or trained (and a lot of institutions provide these, like TESDA, DOST, DTI, DA, Go Negosyo, Association of Filipino Franchisers, Phil. Franchise Association), so we can get employed, or start a business, or invest in one. In other words, we have to invest in sharpening our talents and time, work hard, and invest some funds for those who have the means to be able to ride on the growth phenomenon. We cannot expect the growth benefits to trickle down to all if some really don’t make an effort at all, and simply wait for government dole outs and support. Many in the business sector, since they are putting a stake in the growing economy, are benefitting on the current upswing in the economy. The growth fundamentals are there in terms of the benefits from the country’s demographic dividends and growing consumer market with increasing purchasing power from a higher employment rate, increasing OFW remittances, BPO revenues, increasing investments, a stable inflation and interest rate environment, prospects from a more integrated ASEAN economy and many other opportunities. To be able to facilitate the trickle down effect of the economic gains, we encourage initiatives beyond the norm. Promoting more inclusive business models can accelerate the growth of smaller economic groups like farmers’ cooperatives, micro producers, social enterprises or small retailers. There would be more sustained demand for their produce if they are made part of the value chain of bigger businesses. It will not be dole outs as they have to be competitive in quality and price to retain the supply arrangement. But this is a more ideal model for inclusive development. This is different from the traditional corporate social responsibility since this pertains to more philanthropic and charitable activities, that may be time bound and not connected to one’s business model. Inclusive business models are linked with micro and small enterprises or cooperatives, either as supplier or distributors or consumers who benefit from the efforts of inclusive businesses to lower costs and prices. In the incoming administration of President-elect Rodrigo Duterte and VP-elect Leni Robredo, both have anchored their programs on how they can uplift the lives of underprivileged Filipinos. One strategy that will support this mission is the promotion of inclusive business. You may have read this in our column for several times now but let me discuss with you why is this a viable solution to poverty. Inclusive business is a term coined by the World Business Council for Sustainable Development in 2005. It refers to “sustainable business solutions that expand access to goods and services, and livelihood opportunities for low-income communities.” In simpler term, Inclusive Business refers to private companies who outsource or insource a product or service from or to lowly communities, making them part of the value chain as suppliers, distributors, retailers, or customers. Small communities or groups are organized to supply products to big companies. One example of inclusive business is the organization of ube farmers in Davao called Purple Passion. It is a small group of ube farmers who now sell their ube jams and ube powders to industrial clients. Our Selecta ice cream joint venture has also developed a group of farmers in Mindanao to support the ube requirements of the production. Kennemer Foods International Inc. is also a company which promotes inclusive business through sourcing and trading cacao beans sourced from farmers. Kennemer Foods promotes inclusive growth by (1) promoting market transparency, (2) providing fair value pricing for produce, and (3) implementing sustainable farming practices. It also provides planting materials and inputs, technology and trainings, mentorship and supervision, and access to financing. Currently, Kennemer Foods has active cacao centers in Mindanao, Visayas, and Palawan. Mindanao-based company Bali Oil Palm Produce Corp. also taps poor farmers as contract growers of oil palm. In partnership wth Kalilangan Oil Palm Growers Association, Bali Oil operates almost 57,000 hectares of plantation in Misamis Oriental and Bukidnon province. Bali Oil Corp. is one of the companies which adopted the Inclusive Business in Mindanao (IBIM), a partnership between the Philippine Business for Social Progress (PBSP) and the Mindanao Development Authority (MinDA). With these efforts to connect the micro and small entrepreneurs to the big entrepreneurs of all industries, it creates a double-edged solution. For small players, it helps them access bigger markets thus making them active members of the value chain. For big players, they now have direct suppliers of quality goods and in return, they help the small players develop and improve. A big brother helping small brother in the business. Synergies of these MSMEs and corporations produce a long-term value-driven partnerships. If our government will support and promote inclusive businesses, the farmers, fisher folks, and other members of the low-income communities will have a chance to have a better life. And all together, if we cooperate with one another, we can create not only inclusive businesses, but achieve inclusive growth too. Let us work hand in hand in strengthening the economy! Gov. Corazon N. Malanyaon said the province intends to expand the distribution to other areas suitable for the high-value crop. The announcement came amid debate in the Philippine Congress over whether to pass a law that advocates hope will forge lasting peace in Mindanao by giving a large amount of political autonomy to Muslim rebels in return for their putting down their weapons. How vital is productivity in achieving prosperity? This issue is of strategic concern to Philippine development. As of 2012, some 25.2 percent of Filipinos were poor. Farmers and fisherfolk are poorer at 39.2 percent and 38.3 percent, respectively. Urban residents have a poverty incidence of only 13 percent. If the urban-rural residents are split halfway, the poverty incidence of the rural folks would be almost three times that of urban resident at 37.2 percent. Today, there are slightly over 100 million Filipinos. This means almost 18.6 million are rural poor, and 6.5 million urban poor. Or 74.4 percent of the poor are in the rural areas. To achieve rising and shared prosperity, “productivity growth is necessary but not sufficient to support broad-based well-being, which also depends on quality of life, health, and environment,” according to Catherine L. Mann, chief economist at the Organization for Economic Co-operation and Development (OECD) in her article entitled “Designing policies that support growth”, which appeared in the McKinsey Global Institute in January 2015. “Productivity growth both affects and is affected by the distribution and volatility of employment and income … and these feed into well-being, both within and across generations, ” added Mann. “Even in countries that are home to frontier firms, there is incomplete diffusion of known technologies within and, even more so, between sectors. Policies that support business and worker dynamism and the reallocation of resources promote this within-and between-sector diffusion and catch-up. Except for a few products, Philippine farm productivity is behind those of peer Asean countries—Indonesia, Malaysia, Thailand and Vietnam. These include rice, corn, coconut, sugarcane, coffee, cacao, oil palm, rubber and others. The exceptions are banana, pineapple, and a few others. 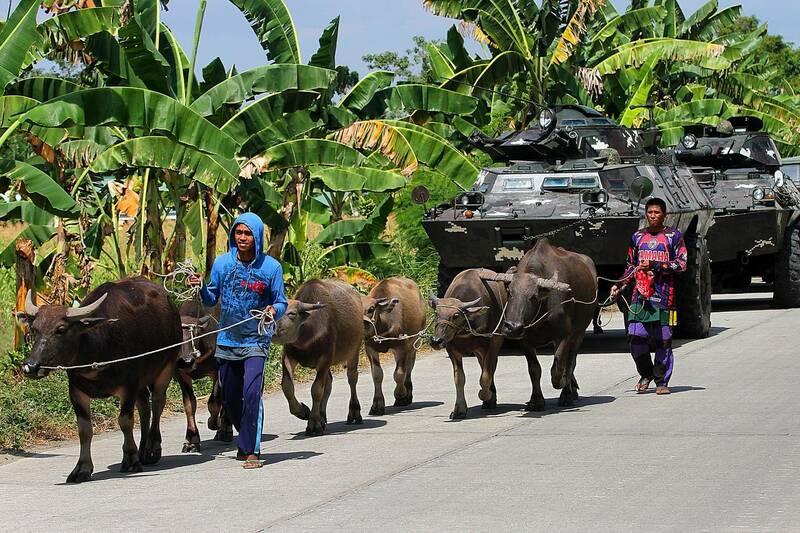 The typical farmers in Thailand can out-produce Filipino farmers in corn, sugarcane, rubber, cassava, dairy and hogs. Those from Indonesia, in oil palm, coffee and cacao. Those from Vietnam are more than three times more productive in coffee and rubber. They are ahead in cashew, pepper and rubber. The irony is that there are great farmers across the so-called low productivity agriculture. They can out-produce the good farmers across Asean. However, they are few and far between. The productivity differential is caused by what Mann discussed as the limited diffusion of best practices across firms within a sector, and innovation that pushes out the technological frontier is also needed. First, the limited diffusion of best practices cuts across the small farm sectors. This is because of a weak extension system at the municipal local government units. This issue emerged after the passage of the 1991 Local Government Code. Scholars, like Cristina David and Eliseo Ponce, have long advocated a sound setup at the provincial level. There will be subject matter experts and extension service will be under the control of a professional manager. It has been over 20 years, and the “light” is still in the woodworks. Second, innovation that pushes out the technological frontier. The banana and pineapple industries have pushed their technological frontiers without government support. The farm yields are among the highest in the world. No wonder, they are export-competitive and key players in Asia and the world. Asean peer Vietnam has pushed the technological frontier for coffee, and Thailand for sugar and cassava. Third, there are already advances in the frontier, such as hybrid rice (SL Agritech), cacao (Kennemer Foods), and coffee (Nestle). There are companies in vannamei shrimp culture, too. There are also tunnel-ventilated houses of swine, broiler chickens, and layers. Across Southeast Asia, notable advances have been made in rubber, oil palm seeds, cassava and giant napier. So why is Philippine agriculture not as productive as Asean peers?